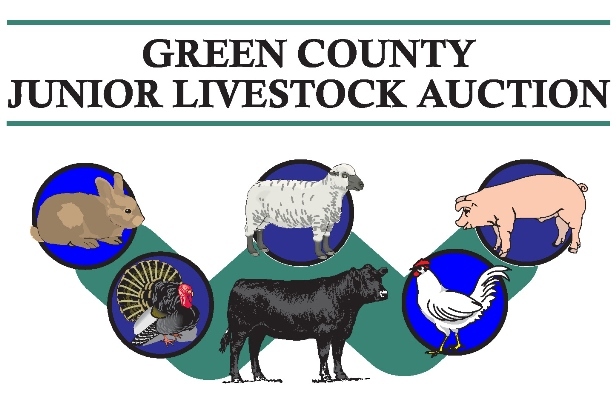 The Green County Meat Animal Auction Committee in coordination with Extension Green County will host the Meat Animal Auctions on Saturday, July 20th, 2019. The 35th 4-H & FFA Annual Fur & Feather Auction will begin at 10:00 AM. The 45th Annual 4-H & FFA Large Animal Auction will be held starting at 12:30pm. Both auctions will be in the Stock Pavilion at the Green County Fairgrounds, 2600-10th Street, Monroe, WI. 2019 Auction Buyer Card (2- Buyer Signed Cards Per Exhibitor-Due to UW-Extension Office by 4:30pm June 28th) Four will print, please cut apart. Note: Please tell any NEW buyers to contact the UW-Extension office at 608-328-9440 if they need tickets to attend.